When it comes to dealing with a changing education environment, there are plenty of school leaders who can talk the talk. But, taking a leap and bringing communities together can be daunting, often relegating change to rhetoric. School leaders describe their schools as “future-ready.” But, without a tangible and actionable plan in place, they often struggle to keep pace with the rapid stride of classroom innovation, or the steady drumbeat of school choice and competition. These are challenges that Dr. Philip Lanoue, former principal of the year, Georgia state superintendent of the year, and national superintendent of the year, understands well. 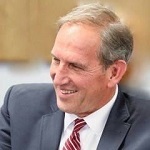 As superintendent of Clarke County Public Schools in Georgia, Lanoue helped boost the graduation rate from 63 percent to 80 percent, revamp the district’s teacher evaluation system, forge partnerships with the University of Georgia and Athens Technical College and launch a well-regarded career academy. In other words, he’s walked the walk when it comes to school transformation. That’s why we’re excited to welcome Lanoue as a regular contributor to TrustED. Later this week, we’ll launch Course Correction, a new monthly column that challenges school leaders to think differently about the challenges they face and offers practical advice and solutions to help usher in a new day in K-12 leadership. Dr. Lanoue recently sat down with us to outline five new realities that school leaders must face before they can drive real change in school. Learning is a 24/7 process, says Lanoue, and it doesn’t stop once students leave the classroom or the school building. Thanks largely to technology, the traditional boundaries that once existed between students’ school and social or home life have come tumbling down. So, the question now for educators and administrators is how can they enhance student learning outside of school? While some educators believe that a focus on digital learning simply widens the divide between the proverbial “haves and have nots,” Lanoue sees a powerful tool to accelerate student achievement—provided educators embrace these tools as part of a larger human-led process, and ensure that all students have equal access to them. “We can have 3D printers build houses, but we can’t get digital access to kids for learning?” Lanoue asks. As technology becomes more ubiquitous, Lanoue says educators must make a concerted effort to ensure all students have the access and the guidance they deserve. The key, he says, is to strike the right balance between technology and human-centric learning. The conversation around students’ future plans shouldn’t be “college or not college,” suggests Lanoue. Instead, schools and districts need to prepare students to be life-long learners, wherever that journey takes them. While many schools include life-long learning as a goal in their mission statements, Lanoue says the definition of student achievement is often capped at a high school diploma or college graduation. To create true life-long learners, schools must rethink the endgame for students, or if they should define an endgame at all. Lanoue says encouraging students to have passions and interests is important, but schools will need to start focusing on broader competencies and skills to prepare today’s learners for the future. Is social media a friend or foe for schools? Lanoue says definitively that it’s a friend. Schools that restrict social media use out of fear, inevitably restrict a key way for students to learn, Lanoue says. Do you agree with these trends? Are there others that you think should be on this list? Tell us in the comments. Or, share your thoughts on social media using the hashtag #WhatsNextTrustED. And don’t miss Dr. Lanoue’s new Course Correction column, starting this week on TrustED. 1 Comment on "What’s Next for Education: 5 realities schools must embrace"
The first thing “educators” need to realize is that they are not the ones really in control anymore. Children, with appropriate digital access and parental guidance, can self-access videos, tutorials, how-to’s, additional information, engage with true professionals, etc. all electronically. The class room of yester-year is becoming more and more irrelevant. Traditional top-down education with the main mode of knowledge transfer being from one adult to 30 or so students via a singular or limited modicum is outmoded, inefficient and quite frankly dumb. Personally, I can’t wait to see this top-heavy, ego-inflated institution and all it’s administrative glory to go away. 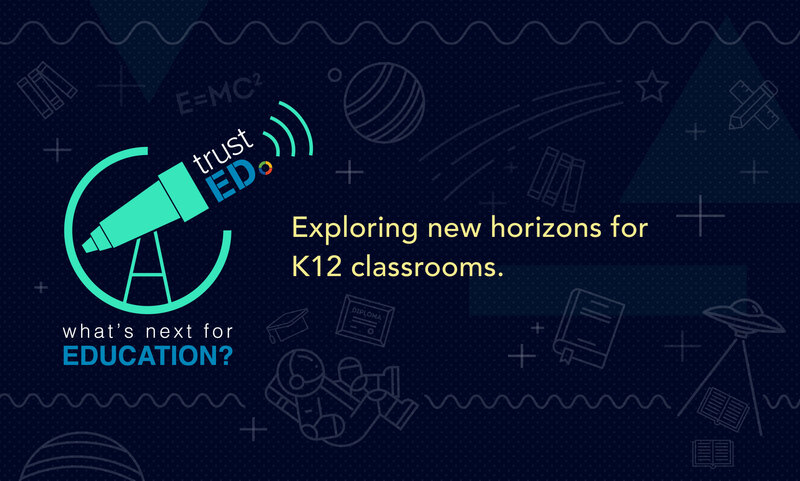 Not just K-12, but higher education, too. I see it already – kids do what their “supposed to” in “school” then pursue their passions, interests after hours via technology. Bill Gates anyone? I have seen a bit of the explosion of ideas and individual thinking this leads to and I am excited to imagine what lies ahead for mankind.